Here is a fair price for a discontinued knife. 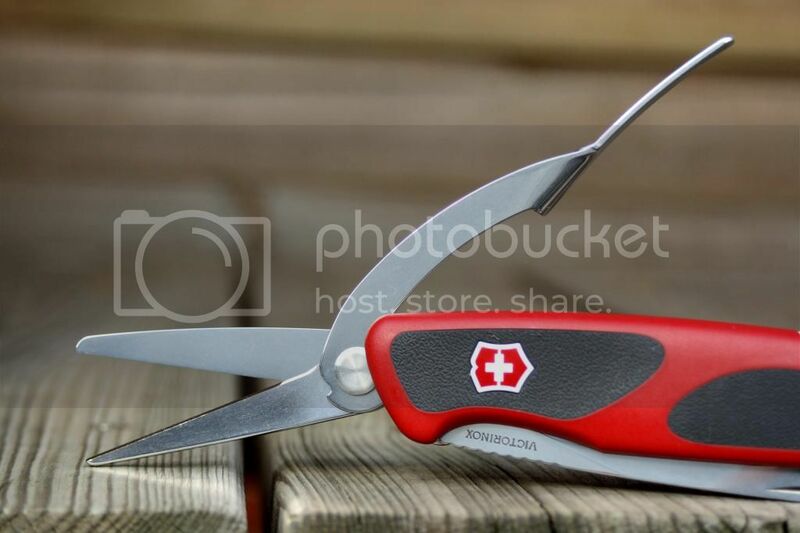 With so many members commenting about the need for scissors,I would have thought this model would have created more interest.You couldn't ask for a bigger pair of scissors on a SAK than these.LOL. At this price it is a good deal,so I ordered one. My intended purpose for this knife to be used as bird shears.As hunters know and non hunters may not know,before you begin to dress your bird you need to remove the wings and a pair of scissors/shears works really well for that purpose. After I receive it I'll report back with my assessment of this SAK. That is an excellent price for this model and I would have picked it up in a heartbeat if I was US based but the $40 extra in shipping and fees makes it not such a bargain for me. I've got the new Victorinox version of the Gardener a while ago, and I love it. The scissors are the strongest and most comfortable ones I've ever seen on a Multitool/SAK (and that includes the ones on the Surge). Great SAK, hope you're going to enjoy it as much as I do mine . I have a question.I see that this model has a liner lock,so is the liner released via the cross emblem/button on the side of the scale? I assume it is but you know what they say about people who assume.LOL. That's too bad,as $33.00 is a really good price for this model even if it's discontinued. You assume correct my friend, the Vic/Wenger shield unlocks the knife, and that's another thing I like about these Ranger knives . Now I'm wondering why Vic didn't equip this tool with the OHO blade which I like so much. I can't wait for the Wenger to arrive. Does the Vic have a serrated or plain edge? I have the Wenger in question and I'd much rather have the Euro version. With the plain edge. The US version is perfect for gardening though! That certainly caught my attention. Time to research this possible game changer. The only version of the Vic that I've seen has the plain edge blade.As a gardeners tool I would think that the serrated blade may be a better choice.But this is just a guess. Sorry for the confusion. 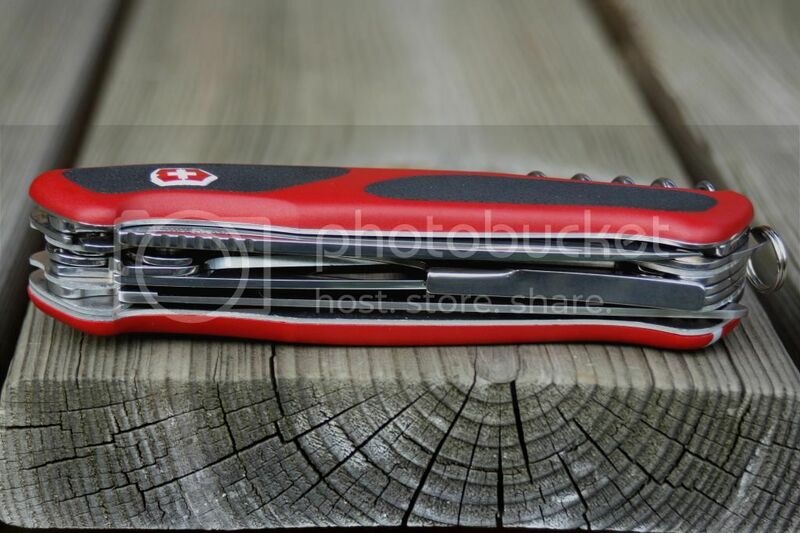 Wenger had two models-one in the USA called the Garderner (w/serrations) and a Euro release with a plain edge. It seems the Vic model is more in line with the Euro release (which I think would be a better all around user). The auction is for the USA Garderner version at a good price. I picked up a 2 two years ago on a closeout site for about the same price. It would make an excellent Xmas gift for a gardening enthusiast, and it seems that is a model that will not be continued, so get it while the getting is good!